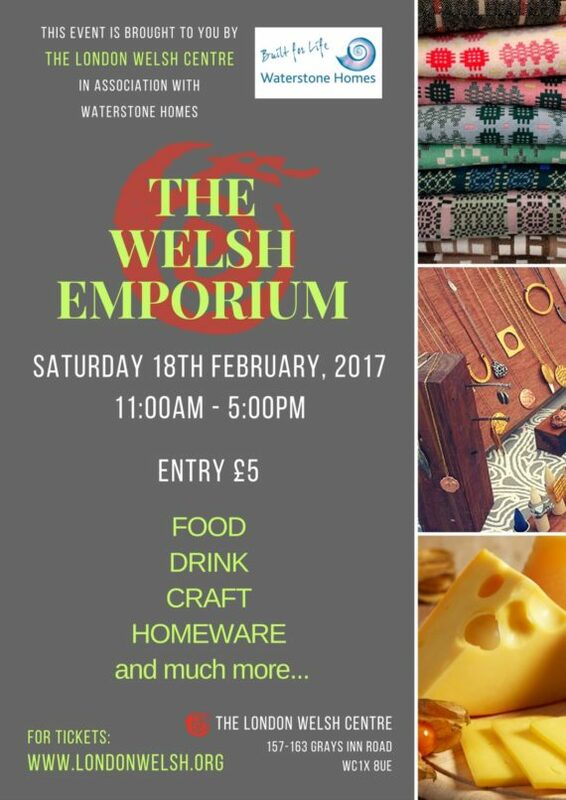 Join us for our first ever Welsh Emporium! An event celebrating the craft and skills of Welsh companies at The London Welsh Centre. With special guest, Welsh TV Presenter, Sian Lloyd, opening the event. We will be crammed full of stalls selling food, drink, craft, homeware and much more. Come along and sample the delights that Wales has to offer in London. It’s the perfect place to pick up beautiful gifts for family and friends.